Rodale institute has a new event, a sort of Gardening 101 for this time of year, called Winter Warm-Up. While cold weather may keep gardeners house bound, it is the perfect time for planning, purchasing and sowing organic seed inside to get ready for the garden season that will be upon us before too long. Rodale Institute's Seed Starting Expert will participate in #Plantchat on Twitter to answer questions and provide helpful hints and advice for gardens new and old. 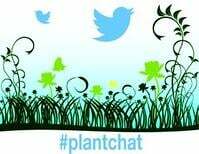 It's another great topic and discussion in store on #plantchat! Join @CoronaTools and #plantchat co-partner, Aaron Kinsman of Rodale Institute @RodaleInstitute and Seed Starting Expert Molly Sweitzer will be joining the chat as the seed starting expert. The live chat begins Monday, January 12, 2015 at 11 a.m. PST / 2 p.m. EST, were we come together with green industry experts and fellow horticultural tweeps each week to discuss all things related to plants and horticulture, since 2014. 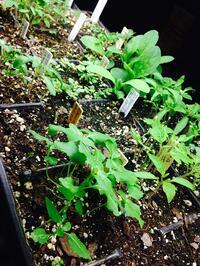 What varieties are easiest to grow from seed? What do I need to know about selecting seeds for my garden? Where can I find organic seed?